At the core of the fights over the legal standing of banks in foreclosure cases is Mortgage Electronic Registration Systems, based in Reston. The company, known as MERS, was created more than a decade ago by the mortgage industry, including mortgage giants Fannie Mae and Freddie Mac, GMAC, and the Mortgage Bankers Association. MERS allowed big financial firms to trade mortgages at lightning speed while largely bypassing local property laws throughout the country that required new forms and filing fees each time a loan changed hands, lawyers say. The idea behind it was to build a centralized registry to track loans electronically as they were traded by big financial firms. Without this system, the business of creating massive securities made of thousands of mortgages would likely have never taken off. 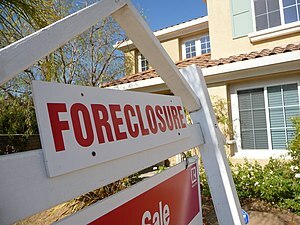 The company’s role caused few objections until millions of homes began to fall into foreclosure. In recent years, the company has faced numerous court challenges, including separate class-action lawsuits in California and Nevada – the epicenter of the foreclosure crisis. Lawyers in other states have also challenged the company’s legal standing in court. Kentucky lawyer Heather Boone McKeever has filed a state class-action suit and a federal civil racketeering class-action suit on behalf of homeowners facing foreclosure, alleging that MERS and financial firms that did business with it have tried to foreclose on homes without holding proper titles. Judges in various states have also weighed in. In May, a New York judge dismissed another case because the assignment of the loan by MERS to the bank HSBC was “defective,” he said. The plaintiff’s counsel seemed to be “operating in a parallel mortgage universe,” the judge wrote. Also in May, a California judge said MERS could not foreclose on a home, because it was merely a representative for Citibank and did not own the loan. On the other hand, Minnesota legislators passed a law stating that MERS explicitly has the right to bring foreclosure cases. And on its Web site and in e-mails, MERS cites numerous court decisions around the country that it says demonstrate the company’s right to act on behalf of lenders and to undertake foreclosures. “Assertions that somehow MERS creates a defect in the mortgage or deed of trust are not supported by the facts,” a company spokeswoman said. But that’s precisely what lawyers are arguing with more frequency throughout the country. If such an argument gains traction in the wake of recent foreclosure moratoriums, the consequences for banks could be enormous. Janet Tavakoli, founder and president of Tavakoli Structured Finance, a Chicago-based consulting firm, said that for much of the past decade, when banks were creating mortgage-backed securities as fast as possible, there was little time to check all the documents and make sure the paperwork was in order. But now, when judges, lawyers and elected officials are demanding proper paperwork before foreclosures can proceed, the banks’ paperwork problems have been laid bare, she said. The result: “Banks are vulnerable to lawsuits from investors in the [securitization] trusts,” Tavakoli said. This is one of the best explanations I have read on the subject. IMHO, MERS is definitely to fault and flew under the radar far too long. Its “systems” promulgated unmitigated greed. Great article!